All Micato Safaris tours, river cruises, expedition cruises, and adventure trips. Find the best guided trips and expert planned vacation and holiday packages. 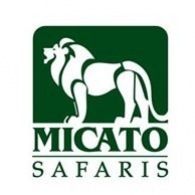 Average rating of 5.0 for all Micato Safaris trips. --The extinct volcano of Mt. Kenya is the second-highest mountain in Africa, and coffee and pineapple plantations fill the gap between its slopes and Nairobi.